It’s been nearly a year since the last blog post. 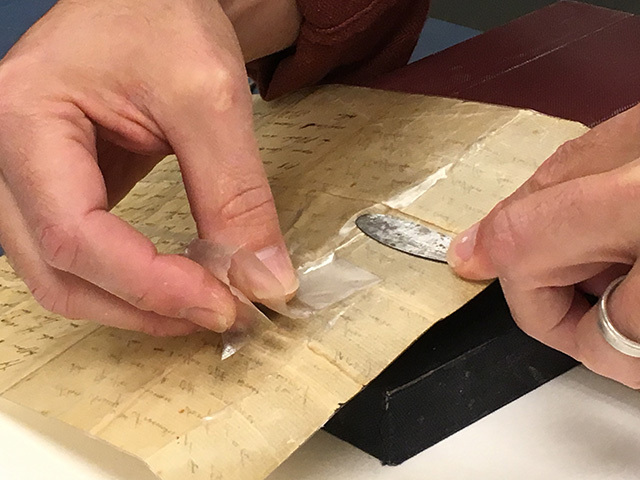 Within the Preservation Department we’ve had some personnel changes, a sabbatical, and day-to-day busy-ness which have all conspired to the neglect of this blog. However, more recently we’ve become inspired and determined to share the interesting, satisfying and productive work we do with the greater public. 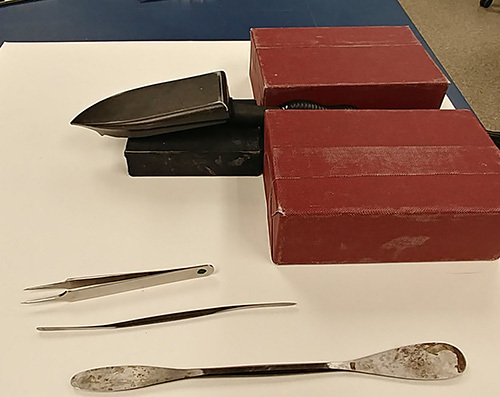 To us, the public can mean fellow staff within Indiana University Bloomington Libraries, the IUB campus community as a whole, and of course the wider audience of like-minded individuals in preservation and conservation labs across the country. We hope that you’ll see more posts from all of us who work within the department; even some guest entries by student employees (those who can be cajoled!) and perhaps some staff within the Library who ally themselves with or benefit from our operations. To start things off I’d like to highlight a project we’ve been working on in the Paper Lab for the past month. The Wylie House is an historic house museum here on the IU Bloomington campus, originally built by the first President of Indiana University, Andrew Wylie. 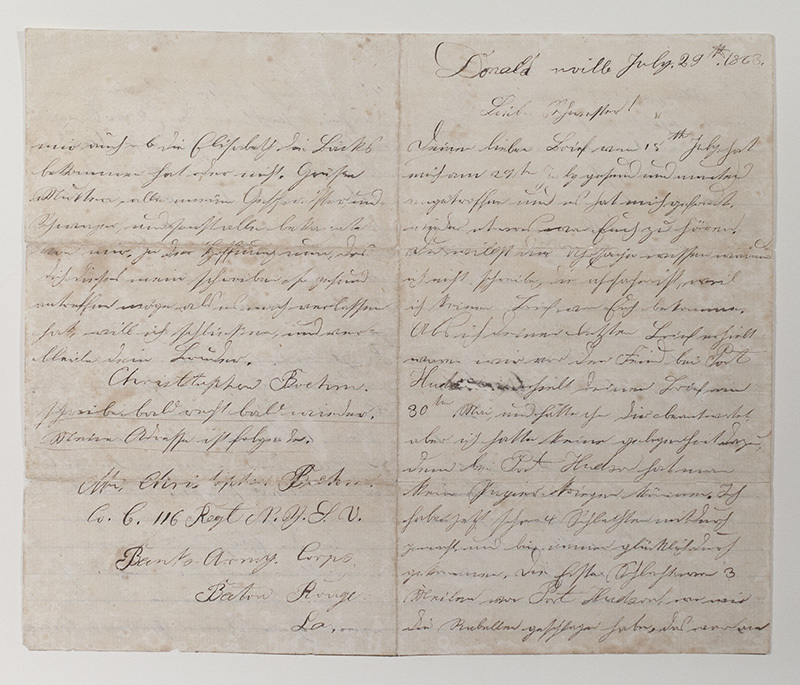 Within the museum’s collections are over 5000 letters of correspondence involving several generations of family members, many of which have been transcribed. Even though Carey Beam, Interim Director and Graduate Assistant Abi Parker, as well as previous Director Jo Burgess and many other interns have done a great job storing and transcribing these letters, they’ve now come to the Paper Lab for surface cleaning, mending, pressing and migration to a new storage format of archival document folders and cubic foot storage boxes. It’s a big project with an estimated completion date of May 2014. We’re finding out all sorts of interesting things while working on it, which will be the subject of several posts in the coming months. For now, here are some pictures of the ongoing work. Posted on November 15, 2013 by Author Doug Sanders Posted in Categories Uncategorized | Tagged: Tags manuscripts, Paper Lab, treatments, Wylie House | Leave a comment on We’re back!